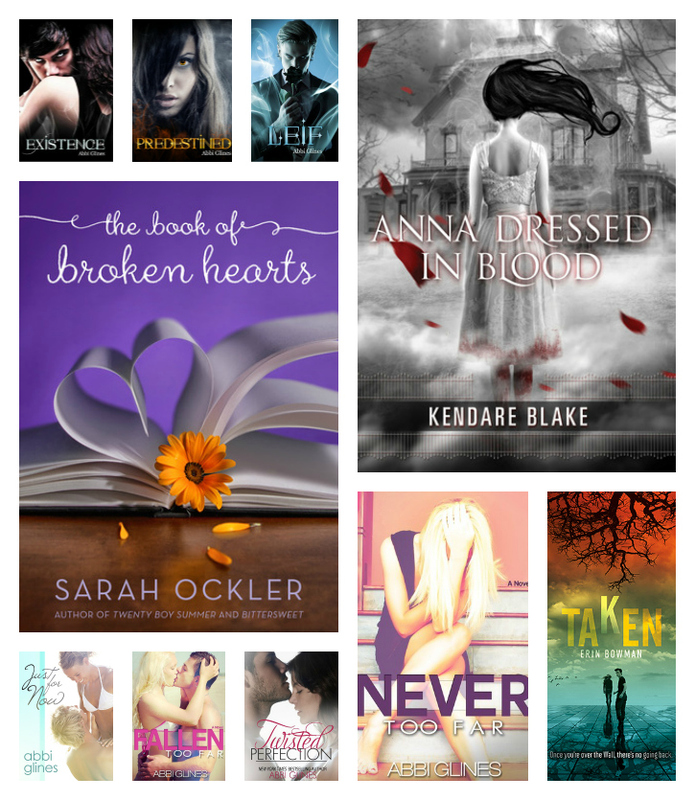 Collage details from top to bottom, right to left: EXISTENCE by Abbi Glines, PREDESTINED by Abbi Glines, LEIF by Abbi Glines, ANNA DRESSED IN BLOOD by Kendare Blake, my absolute favorite read for the month of May: THE BOOK OF BROKEN HEARTS by Sarah Ockler, JUST FOR NOW by Abbi Glines, FALLEN TOO FAR by Abbi Glines, TWISTED PERFECTION by Abbi Glines, NEVER TOO FAR by Abbi Glines, and TAKEN by Erin Bowman. What great books did you read in May? June is shaping up to hold some fantastic titles, but I'd love to add more to my list, so please share!